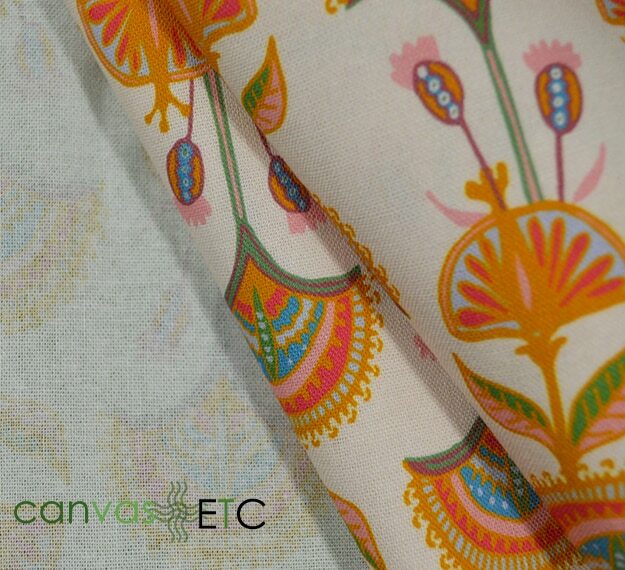 Fabric Printing | Cotton Canvas Fabric | Waxed Canvas | Canvas ETC. Your Online Fabric Store & Fabric Printing Specialists! Wholesale Cotton Duck Canvas, Waxed Canvas, Artist Canvas Painting Fabric & Denier Fabric Always In-Stock! 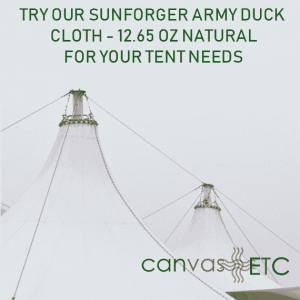 Besides cotton duck canvas fabric, we offer artist canvas painting rolls, outdoor marine, Sunforger Canvas, cotton canvas fabric, awning, dyed fabrics, tent (tipi), truck tarps, and vinyl fabrics. As a wholesale fabrics superstore, Canvas Etc. buys factory direct in order to pass the savings on to our customers. We are also a finisher of fabric, now offering custom slitting, cutting, sewing, and on-demand fabric printing at less than full roll quantities. You can select from one of the creative designs from the renowned surface designers: Katja Ollendorff, John Wylie or Lulet Designs. 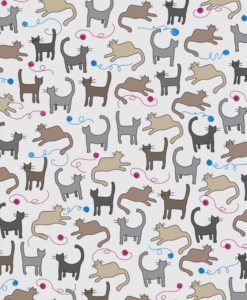 Or, you can submit your very own design to us to print on over 20 different fabric types (you select). If you are uncertain about which fabric is right for your design project, you can order a fabric swatches sample book here. What is CANVAS and How Is It Made? Please visit our page What is Cotton Duck Canvas? to get detailed answers on various textile related questions. So, what is canvas? Duck is a strong, heavy textile available in a variety of weights and qualities. It’s woven as a plain-woven cotton fabric or a basket weave pattern. 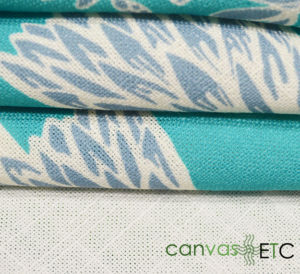 Canvas is often heavy, strong, and firm – like duck. 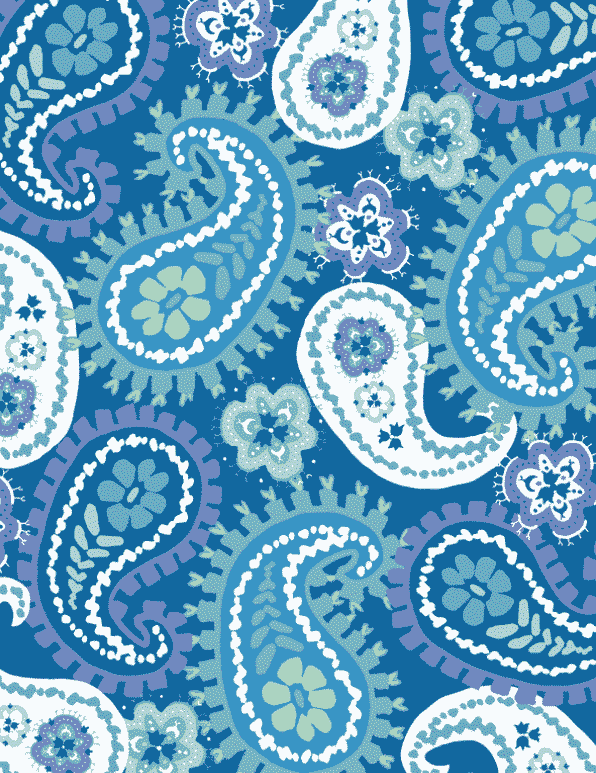 Customers use this versatile fabric for awnings, slipcovers, boat covers, and home decor projects. Heavy plain-woven cotton creates a rustic yet practical look. It’s either plain or basket (Oxford) weave and could have a soft or firm hand. Please visit us to view our free sewing tutorials. We work with several talented home-based seamstresses to make these videos that utilize many of our fabrics including duck canvas. Please sign up for our newsletter (at the bottom of this page) to get updates on our latest videos, coupons and new products. We offer a full array of pre primed artist canvas rolls. From weights ranging from 7 oz/sq yd (pre-primed weight) to 18 oz/sq yd (pre-primed weight), you can find the right primed material for your project. All our pre-primed cloth is double coated with an acid free, acrylic gesso. All our primed canvas rolls are shipped in a cardboard tube to avoid creasing. Therefore, the fabric arrives to you ready to be used on your next project! Sunforger cloth is used for tipis, tents, and other camping gear. 100% cotton is breathable and strong. 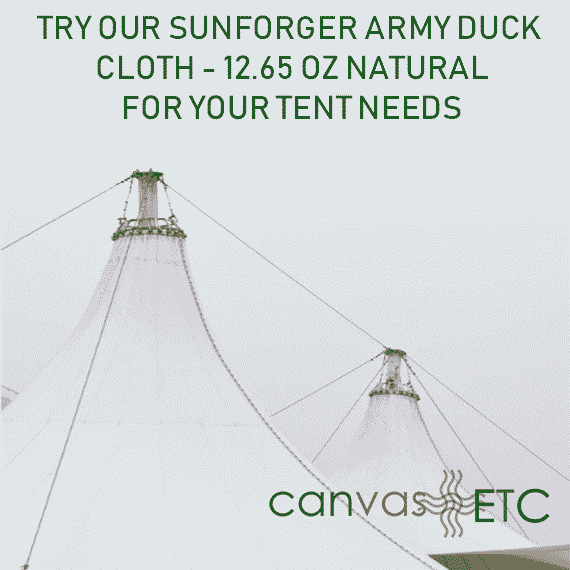 Use Sunforger cloth outdoors for covers, shelters, tarps, tipis, yurts. It is pre-shrunk, mildew resistant, rot resistant, UV resistant, flame resistant (optional). All Sunforger army cotton is made with A Grade premium yarns and sold by the yard or by the bolt. Need to buy Sunforger products in large quantities? Call us to setup a wholesale account and we will offer you factory direct pricing. What are Different Types of Finishes? 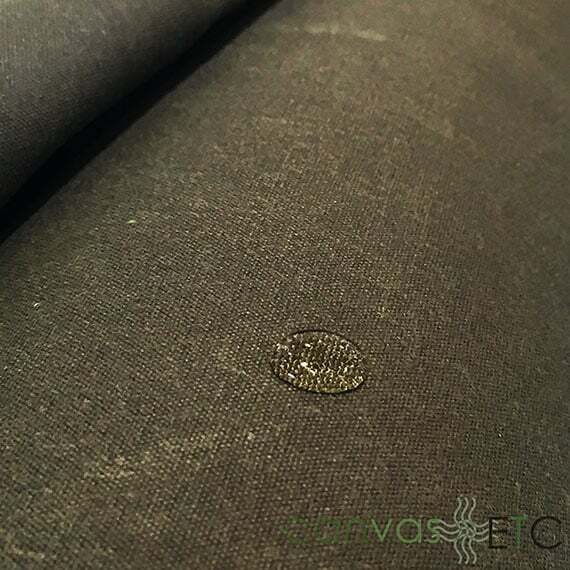 Water Repellent: A treatment that enables the textile to repel water but does not make it completely waterproof. Waterproof: Will resist leakage and wetting even under a heavy shower. Mold and Mildew: A finish to prevent the growth of mold or fungus on cellulosic and protein-based textiles. Mold and mildew is also known to damage synthetic fibers. Flame-Retardant Finish: Textiles can me made flame resistant by using inherently flame-resistant fibers, by adding flame resistant chemicals to the spinning solution when the fiber is made, or by applying a chemical to the fabric. Flame retardant textiles should be durable (able to withstand up to 50 washes), non-toxic and non-carcinogenic. In most cases, the hand and texture of the textile product remains the same. What are the Basic Weaves for Canvas? Basket weave-type is a plain weave where two or more yarns travel together in the warp direction while two more yarns get inserted together in the fill direction (ballistic nylon). What are Greige (Gray, Grey) Goods? This is not to be confused with color. In the textile industry during manufacturing, this describes unfinished, loom-state woven or knitted goods. Please call us to inquire about wholesale cotton fabric prices. Duck Canvas vs Denier for Outdoor Tents? A big question we constantly get is what type of material is to be used for an outdoor tent. More important that the fabric used is the environment it will be used in and the duration it will be exposed to the elements. For wall tents (hunting) in the Midwest that have lower humidity levels, a cotton product would be ideal (or even Sunforger canvas). Cotton tents with no weather treatment should always be covered with a vinyl tarp, but make sure there is an inch or two gap between the cotton and the vinyl. A wall tent in Montana in the middle of winter would most likely be made of Sunforger army cloth. Sunforger canvas is already weather proofed, but it’s still breathable. The inside of a wall tent should be dry and warm in the winter, and if a vinyl tent is used in this situation there will be moisture build up due to condensation on the inside. How Did Numbered Ducks Get Their Numbers (#’s)? In the old days, most numbered ducks were woven to 22″ standard width. The numbering system of ducks (#1, #6, #12, etc.) comes from subtracting the weight of one 1 linear yard by 22″ width of the fabric from 19. Number 12 was roughly 12 oz/sq yd so a linear yard at 22″ weighs roughly 7.33 (round down to 7). Subtract 7 from 19 and you get 12, hence Number 12 duck. 1 (30 ounces per square yard or 1,000 grams per square meter) – ideal for floor & wall covering, sound absorption, covers for equipment, heavy bags, storage bins, horse packs. Do you sell direct to consumers or only to businesses? We effectively sell direct to consumers AND to businesses. With tremendous supply-side inventory across all of our categories, we are pleased to offer full rolls or fabric by the yard, whichever works best to meet the unique needs of our customers. 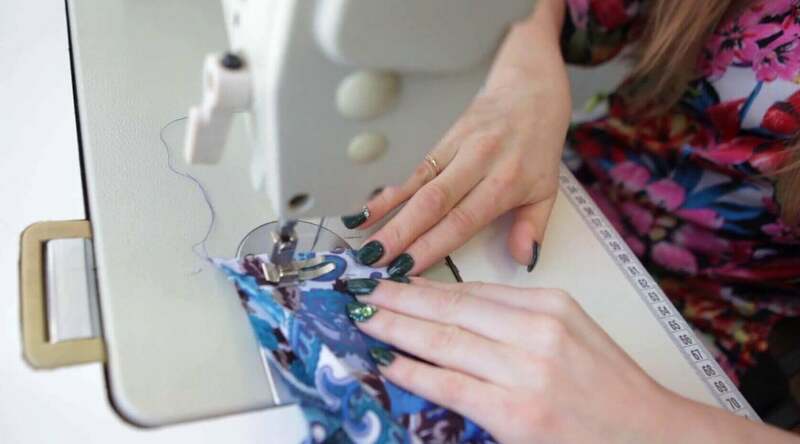 We also offer finishing services, including: cutting/ slitting, coloring, sewing, and on-demand custom fabric printing where you can submit your very own design, and we can print it on many different material compositions. What type of finishing services do you offer? We offer a full range of finishing services to meet your requests. Cutting (slitting), sewing, custom dyes, fabric printing through our dye sublimation or screen printing equipment and technicians … whatever you need, please let us know, and we can provide for you. Our services and the scope of our capacity are nearly limitless! What would be a good product of yours that I could use to Market my company? This is a great question! Due to our capacity as a finisher of fabric, and our own team of cutters, sewers and printers, we can offer many options for you to select from, and to use as marketing material/ products for your business. One option would be our Canvas Tote Bags. We currently have 3 styles to choose from: our Riggers Bag; our Painters Bag; and our Heavy Duty Cotton Canvas Bag (a beach bag with greater interior volume/ space). We can also offer sized backpacks and totes as well! Canvas ETC. can screen print your design, your logo and emblem right onto the bags themselves which would then allow you to provide functional marketing “gifts” and products for your customers/ clients, and which will last them (and your business) a lifetime. 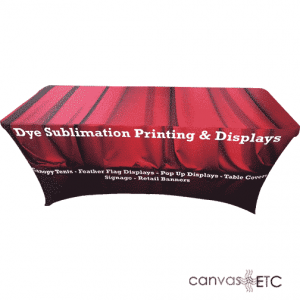 We also offer a great line of trade show table cloth covers to make an immediate and long-lasting impact for your business at any event! We offer: Stretch spandex table cloth covers that are fire retardant; Table throw covers; and Fitted Table Cloth covers. 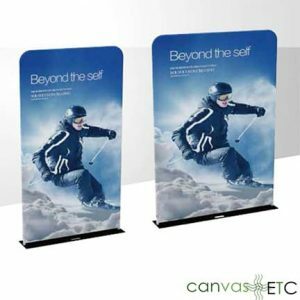 All come in different sizes to ensure that they fit perfectly with your exact exhibition requirements. We can digitally print one color, any color, many colors, your logos and designs and your business information onto the fabric to offer turn-key marketing messaging for you to impress and attract customers. Please let us know if we could offer these canvas tote bags, trade show table cloth covers, displays, banner stands, fabric display racks, trade show booths or any other finished product for your Marketing material! What is the proper way to clean and care for waxed canvas? The recommended way to properly clean and care for your waxed canvas is to sponge wipe with cold water only. In the event that the waxed canvas is soiled with dirt, gently brush it off with a soft bristled brush and then rinse with the cold water. After cleansing, it is best to hang and air dry in well ventilated area for at least 24 hours. Drying in a conventional drying machine or using chemicals at a dry cleaner’s will damage the waxed canvas and strip it of its waterproof properties. Do you offer digital fabric printing services? We certainly do! And best of all, we can manage the entire process for you – from submitting your high quality digital files to us, to proofing, to digital fabric printing, to sampling and prototyping, to producing a roll or cut yardage for you, Canvas ETC. is your turn-key solution and digital fabric printing solutions provider. 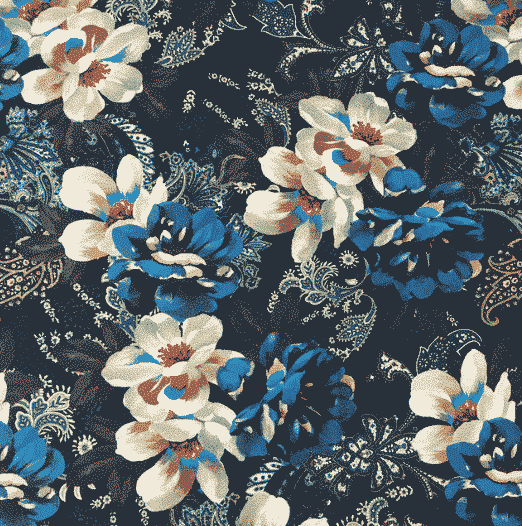 What are the benefits of our digital fabric printing services, you may ask? To simplify a complex process, the best answer would be – More color, 100% accuracy, better feel, and full customization. First, digital printing is more colorful with intelligent coloring! From the point of view of color, digital printing accurately controls the flow through the microcomputer for exactitude. The color of the dye is rich and vivid, and the digital printing can achieve the extreme ranges as long as it is equipped with a dedicated ICC curve. The pigment ink used in digital printing is a nano-sized pigment paste that is ejected from an ultra-precision print head under the control of a microcomputer. Its fineness is beyond the reach of traditional printing. Second, digital printing is more accurate! The fine patterns of digital printing can control the ink drop size of the inkjet print head and easily control the precision. Colors are matched against digital files to ensure 100% exactitude. Third, digital printing feels better! The digital printing basically has a no coating feeling, and the printing is light, thin, soft, and has good tackiness. Even paint digital printing, because the formula resin content is very small, basically does not affect the feel. Acidic digital printing, active digital printing, disperse thermal transfer printing, and discrete direct-injection digital printing are all uncoated and do not affect the original fabric feel. Fourth, digital printing allows for complete customization! The digital printing process allows such precision and accuracy, that a fabric can be crafted with an exact logo, design, pattern, or color variation. 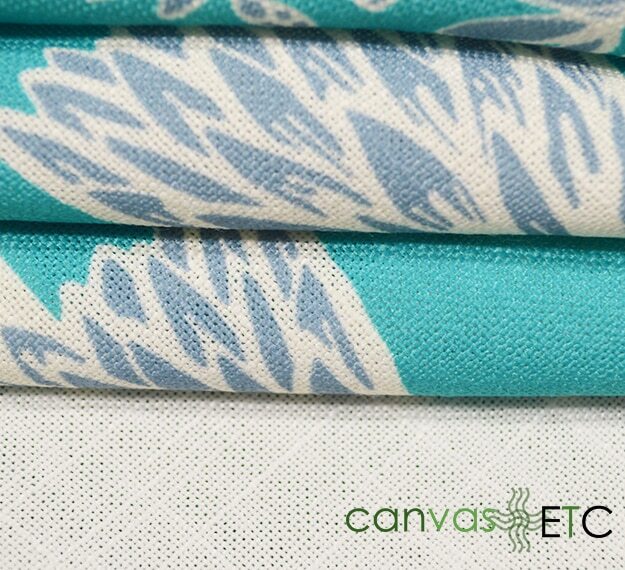 Any Maker, Crafter, Interior Designer, or other can order a specific finished fabric unique to their needs and utility; any business can order a fabric with their logo and branded identity with unique color palette. Full customization is available, and the benefits are unparalleled! What are the Top Advantages of Digital Fabric Printing? Wide color gamut, with colorful, high precision and delicate images. Shortens the traditional printing process, improves the cycle of orders, reduces the cost of plate making and proofing. Faster lead-time for ideation to completion and order fulfillment. Low cost of sample production. Easy to revise/ change/ modify the artwork. Perfect and repeatable sample appearance to meet the growing demand for customization! Eliminating the defects in the traditional process (color trapping and external factors) ensures the pattern on the decorative paper is finer and more delicate. Offers small-scale production, and concurrently, ensures production batches are not subject to any restrictions or individualized production needs. No pollution and low energy consumption supports a green and environmental friendly production process! Ensures that the sample is consistent with the product; data and process plans are easy to save and the replication of printing quality is accurate and repeatable. 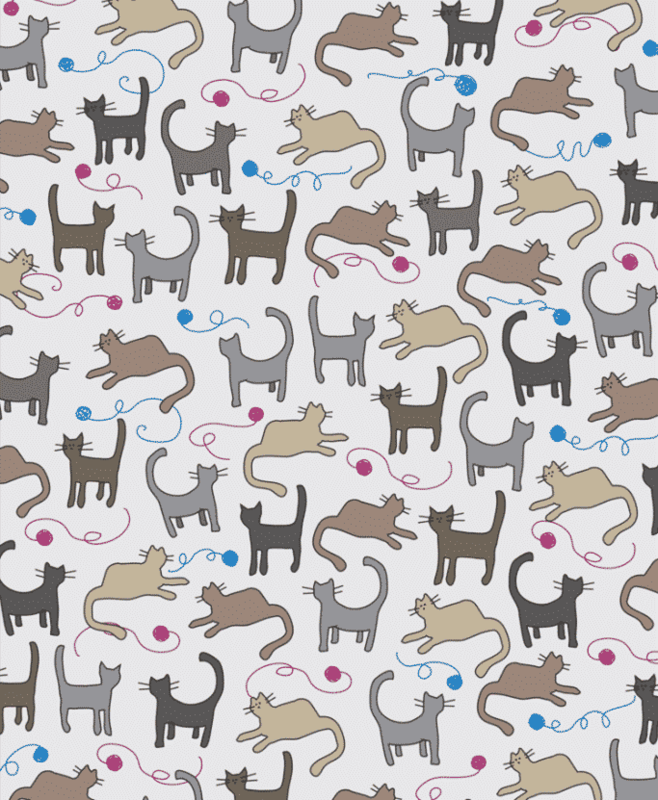 Design patterns do not need to consider the number of patterns nor pattern types. 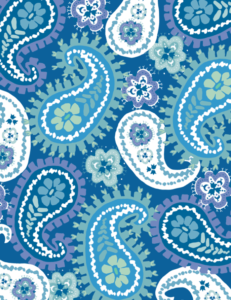 Digital fabric printing can express thousands of colors of patterns. Allows for the reality of long patterns, with multiple pieces of personalized graphics to spell out a wide pattern. 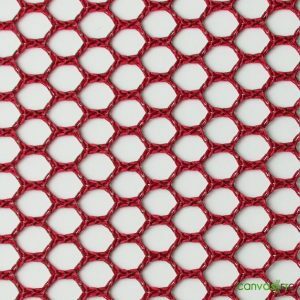 What are the different types of mesh fabric? There are a few types of mesh fabric: polyester mesh fabric; nylon mesh fabric; and stainless steel mesh. 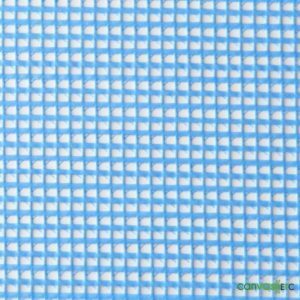 Polyester Mesh fabric is made by a chemical synthetic fiber. It offers resistance to high temperatures, water and chemicals, though does not have the “stretchability” or wear resistance that nylon mesh has. Nylon mesh fabric belongs to the polyamide system, and not the polyester system. This mesh has high wear resistance, strength, chemical resistance, and water resistance, though over time, the tension will be low. Stainless steel screen mesh possesses good abrasion resistance, high strength but very low flexibility. 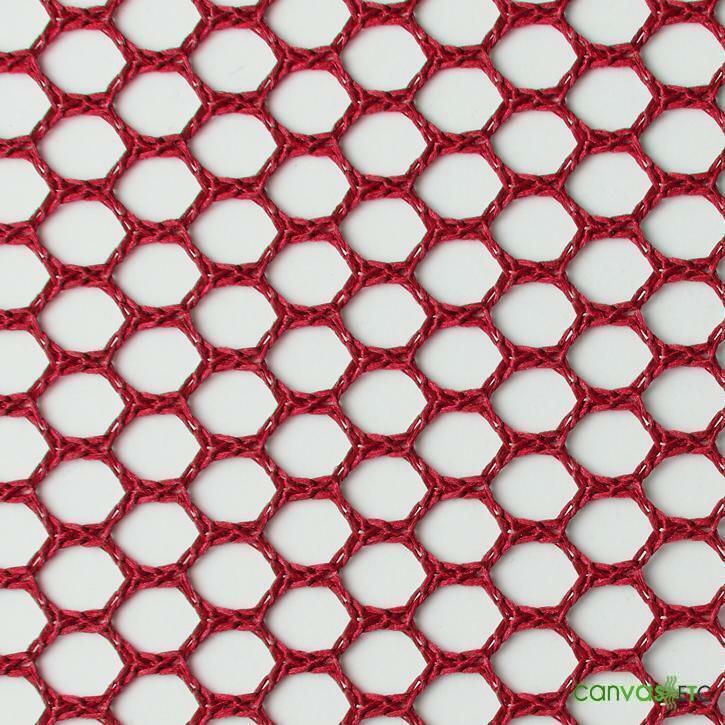 Our polyester mesh fabric has such great versatility, and depending on the final end-use and process in which it is utilized, is the front-runner to consider for all mesh fabric types. It is highly durable and has great wet and dry crocking value which means that the ink/ dye will not rub off. 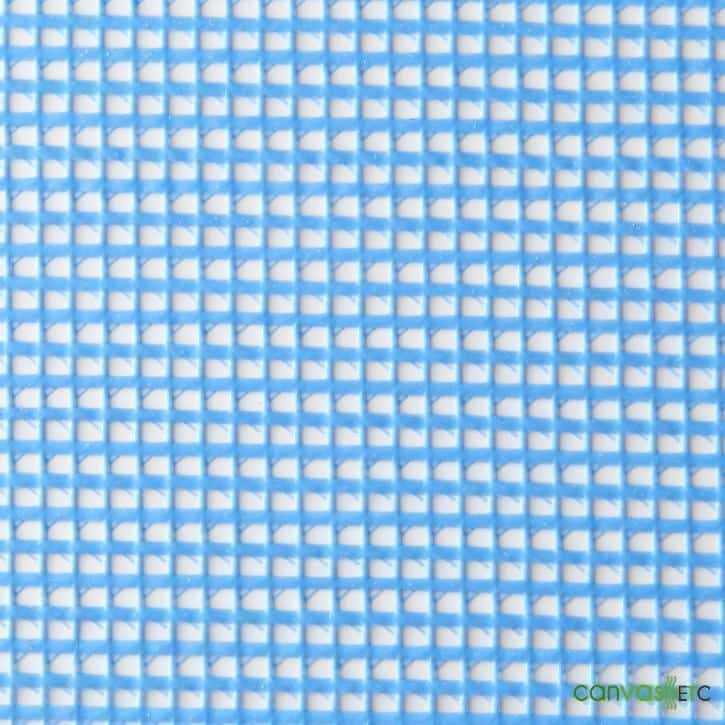 This is an ideal mesh fabric for sewing purposes and applications. What is your Return of Product Policy? The standard CanvasEtc.com return window is 30 days and the standard restocking fee is 15% unless otherwise published. However, there are many return and restocking exceptions listed below. Additionally, all CanvasEtc.com Policies including the Pricing Error Policy, Order Cancellation Policy, Damaged Merchandise Policy, and other General Policies are listed here. I agree that upon placing my CanvasEtc.com order, I am accepting the terms & conditions of the Canvas Etc. Return Policy, Shipping Policy, Order Cancellation Policy, and Product Restocking Fees Policy. I understand that there is a restocking fee of 15% for returned items. I understand that I am responsible for emailing the Canvas Etc. Returns/ Customer Service Team at [email protected] to obtain a Return Authorization Number (RA#) and return shipping instructions. If there is no response from Canvas Etc. after 2 business days, there is a definite chance that your email was trapped in a SPAM filter. In this event, please make sure to call Canvas Etc. Returns at 404-514-7166 to verify receipt of your Return Authorization email request. Furthermore, I understand that the cost of shipping an item back to the Canvas Etc. distribution warehouse in Auburn, Georgia 30011 s my responsibility and that all returned items must be received in new, resalable condition. All orders, which are canceled by the customer, will incur warehouse re-stocking fees of 15% if the order has already shipped. When the customer places an order with Canvas Etc., often it ships same day from our warehouse and within hours of the order being placed. If the customer calls to cancel an order, but your goods are already in transit with the shipping provider, then a re-stocking fee will apply. This is necessary because the item has already been, picked, packed, shipped and has left the warehouse on a shipping vehicle. When you receive Canvas Etc. merchandise from the shipping company, please examine it carefully. If you receive a damaged shipment, examine the contents immediately and refuse delivery if the merchandise is damaged. If, after accepting the product you discover damaged merchandise, please call 404-514-7166 within 48 hours to report the damage and initiate the return authorization request. Failure to report shipping damages within 48 hours of product delivery will result in Canvas Etc. not being able to replace, return, or refund your damaged goods. The freight company normally has the customer sign a document which verifies goods were delivered in acceptable, undamaged condition. When damage is reported promptly, a product replacement will be sent out at no additional charge. You will normally be instructed to return the damaged product to us. Please take photos and document your products’ shipping damage thoroughly, as this will allow us to reconcile with the freight/logistics shipping provider to initiate the reimbursement for your freight-damaged item. The product replacement process begins with Canvas Etc. obtaining, then issuing you (the Customer), a Return Authorization Tracking Number and a specific return shipping address. Please wait for return instructions which we will send out via email. Canvas Etc. is not responsible for slight variations in color that may exist in certain products as each web-browser is unique and will display colors on the spectrum with a slight degree of uniqueness. Products cannot be returned if they have been used, soiled, or if the packaging is destroyed. The product must be in new, resalable condition. Please check merchandise when received and report any missing merchandise to Canvas Etc. within 48 business hours. Failure to report shipping/packaging errors within 48 hours of product delivery will result in Canvas Etc. not being able to replace your missing goods. All returned products require a Return Authorization Number (RA#). Please confirm that your RA# is clearly marked on the outside of the box. Returned product boxes, absent an RA#, will be refused by the warehouse and returned to the sender. If you decide you need to return an item that meets the criteria for return, we are happy to assist you through the return authorization process. You are responsible for all return shipping costs except for when goods arrive damaged, in which case Canvas Etc. will file an insurance claim with the shipping provider. You will need to obtain a Return Authorization number from us. You will then need to ship your products back to our warehouse address that we have provided. It’s really a simple process. Please use the following steps to help us take care of you! We will honor your return so long as the date of your e-mail or call is within 30 days of the date of your purchase. Unless we sent you the wrong merchandise, you will be responsible for return shipping charges and the 15% restocking fee. Upon receipt of your e-mail or speaking with you, we’ll promptly issue a Return Authorization number and the shipping address of our warehouse. We cannot accept any package without a Return Authorization number on the outside label of the package! For your protection, return the merchandise via a traceable form of shipping (UPS, FedEx, USPS with Delivery Confirmation, etc.) in new, resalable condition. As a precaution, you may want to purchase shipping insurance, because we are not responsible for product damages incurred during a product’s shipment return to our warehouse. Items returned used, damaged, or in non-resalable condition will not be refunded or replaced. Once the product has been received, we will credit your bankcard/credit card, minus any applicable 15% re-stocking fees. Please allow approximately four to six weeks for the credit to appear on your credit card statement.